I’m back and getting ready to make July productive. Yes, I know there is more left to June, but realistically, there is a lot of catch up with work, more softball tournaments and a creative kindling I am looking forward into turning ablaze. I’m planning to use the rest of June as a springboard for YouTube posts and getting a good game plan in place. 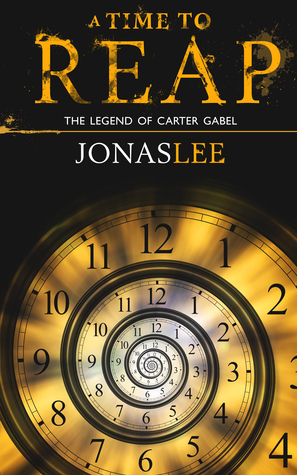 That said, I am deciding to put this out there in order to spur my own motivation on the last Carter Gabel book. I’m looking for eight, willing participants who want to read through the manuscript and give some honest feedback. Need to know what you like, what you don’t what could make it better. I pay for editing, so I’m not looking for too much. Buuuuut, as a Beta, you will have a unique opportunity. You get to choose between two different endings. One will go in the final manuscript and the other…might appear far down the road in a series set. And by different, I mean two very alternate endings, not just kinda. I’ll keep this open to whomever wants, if there are too many requests in the next week I’ll hold a lottery. The manuscript will be ready for you no later than August and I hope to have you read through and reply within 2-3 weeks so I can plan on having a complete MS to an editor by October if possible. So, let me know! Your favorite author or an author you know has a birthday, just like everyone else. Granted, you may not know them personally, but you’d like to still recognize their special day. What to get them though..? Hmm… well, luckily, I’ve listed some suggestions varying from free to pretty darn inexpensive. Already bought it? Read it? Well, leave them a review of some sort. Already done all of those things? Why not share their site with friends, family, co-workers? Never know, your unknown artist may blow up one day and remember the people that got them there… Can you imagine a J.K. Rowling or E.L. James fan that helped them out? If you haven’t guessed, it’s my birthday. I’m now off to drink coffee, lay around in my sweats and watch a Star Wars marathon. Hope you are all having a great day!! I will post more info to help new and possibly current authors that are looking to self-publish. It was a learning experience for me, but if I can save others a few steps, why not pay it forward, right? Lastly, my sequel is nearing completion. And shortly thereafter, there will be editing, beta-reading and then a formal editor with all the fixings. I’ll be posting a lot from Kickstarter looking for help from fans or good-natured souls wanting to assist me in making my dream a continual mission. Look for more tomorrow! I’ll throw this out to the Twitterverse as well since it links back to free stuff. Oh and she’s awesome, let’s not forget that.